Limited seats are available for some tours: Register early to secure your place! All bus tours load promptly at 1:00 PM in front of the Parksville Community and Conference Centre. Buses return to Parksville Community and Conference Centre at approximately 4:00 PM. Milner Gardens & Woodland is a gem: 60 acres of ancient coastal Douglas fir forest and a 10-acre seaside garden estate with a historic collection of rhododendrons on the bluff overlooking Georgia Strait. Now the property of Vancouver Island University, the garden also serves as a classroom for horticulture students. Steve Hootman will lead the tour through the garden, focusing on the recently-opened Greig Species Garden and the rhododendrons of Mary Greig, who propagated many of the early plants for the Milners. This tour also includes an intimate look into the Milner house, which began as a summer respite for a busy executive and has entertained hundreds of dignitaries over the years (including royalty). 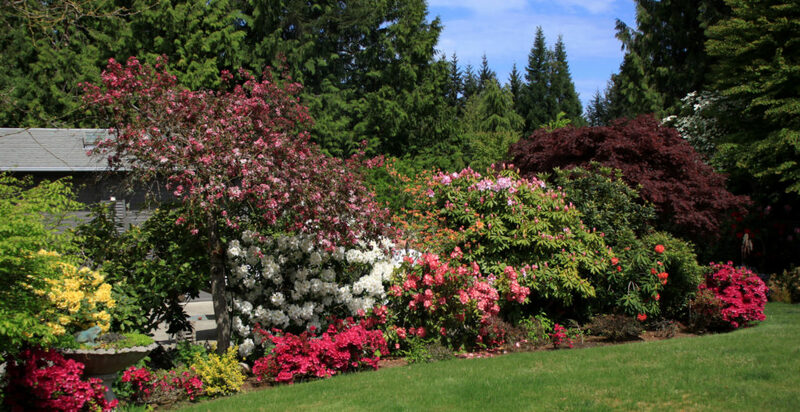 This is your chance to peek into four of the finest private gardens in Qualicum Beach! Open exclusively to ARS Fall Conference attendees for one afternoon only, these gardens are sure to inspire. Geddes Garden: This four-season garden has been open to the public several times. Through careful planning and design, there is something of interest year-round in this garden. Moore/Fox Garden: An award-winner many times over including one from the Town of Qualicum Beach for Outstanding Curb Appeal, it offers low maintenance front corner appeal with lots of interesting foliage plants. The back garden offers the homeowners a very private place to enjoy outdoor activities during the pleasant spring, summer and fall weather. 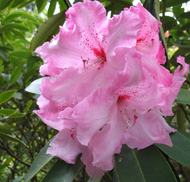 House/Mattison: Dawn and Jim are the more recent stewards of this old rhododendron garden. Some plants are very old shrub/trees and many are not labelled so the couple have welcomed folks to visit and try to identify as many of the species and hybrids as possible. Whitehead: This tour winds up with a spectacular bluff view of Georgia Strait. 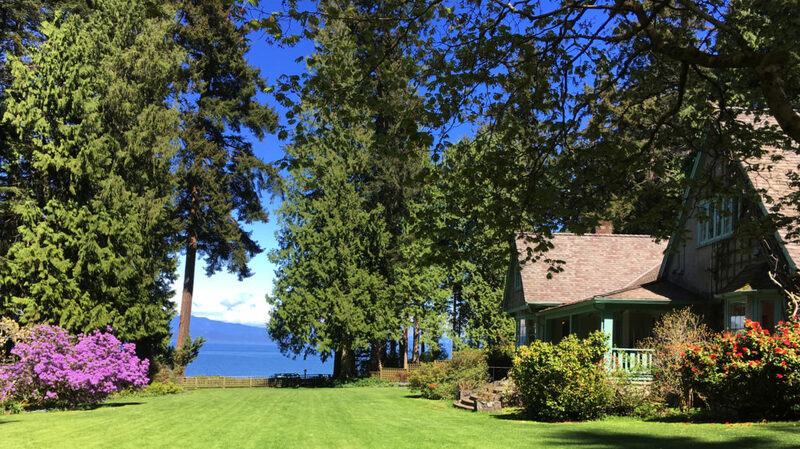 This property has been lovingly maintained by Roslyn for several years and has been generously opened for garden tours on many occasions. It takes time to absorb the scope of the property that encompasses a large pond, challenging slopes and woodland garden. The Parksville and Qualicum Beach areas offer fun, fascinating, and quirky local points of interest. Take this tour and prepare to be surprised by the diversity of our local scene! First a visit to the North Island Recovery Centre in Errington introduces you to an 8-acre rehabilitation facility that specializes in returning injured raptors, bears, and other animals to the wild. Get an up-close look at these amazing animals as you wander the grounds. The tour then moves on to tamer territory, Coombs, with a collection of funky shops and an old-fashioned general store with goats on the grass roof. Moving on, a short drive brings us to MacMillan Provincial Park where we marvel at the 800-year-old trees towering over us. 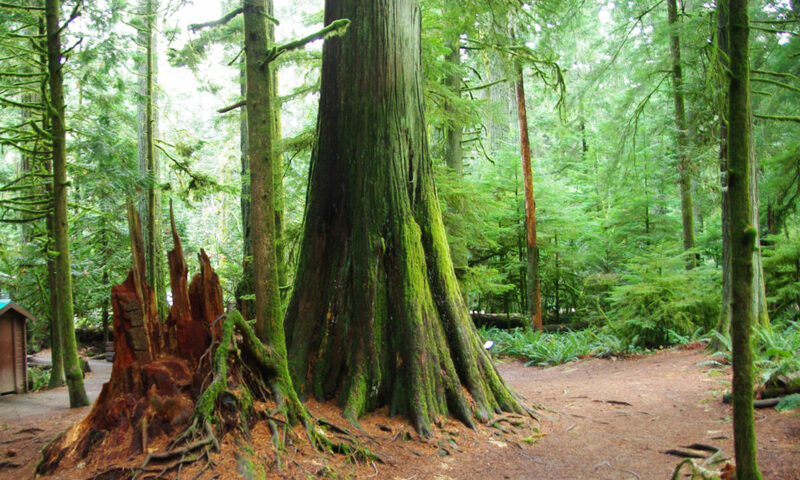 This is the aptly-named Cathedral Grove, a collection of old growth Douglas-fir and Western red cedars that have managed to defy nature and withstand the storms of the past.